Short Story written by: Mariana Morales. Once upon a time, there was a hard-working ant called Lucy. She was living alone in the ant´s nest, which was on a path. 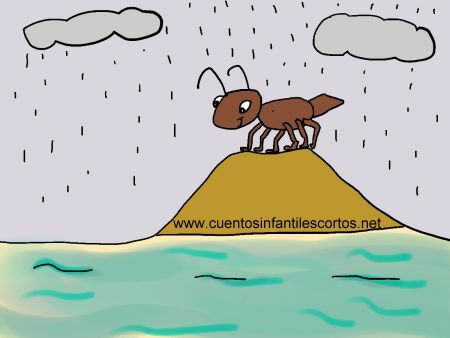 The ant always went out to take some leaves, walking a long way to a tree to cut the leaves and bring them back to her ant´s nest. But one day, a woodcutter felled the tree and the Lucy was left without leaves, and was hungry. “Have these leaves and stop crying” – said Melissa. From that day on, they ate together everyday, shared their food and became very good friends forever.